"This is so exciting. It's hard to believe this is happening. I'm so grateful to everybody who worked on this house that is now our home." In September 2006, the Groundbreaking ceremony was held at Montague Road in Nanaimo for a single-detached three-bedroom house. This property, as well as the adjacent property on Second Street, was donated by the City of Nanaimo. The house was built almost entirely by volunteer labour, including fifteen trade’s companies and nineteen material suppliers. 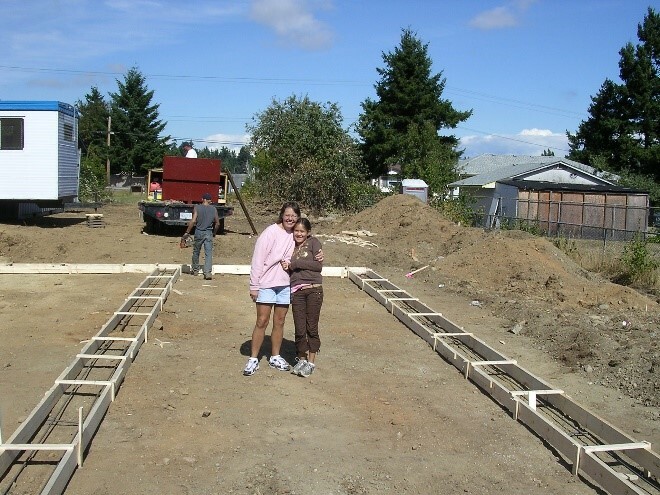 Brenda, a single mother and her daughter Shawne, were chosen as the future homeowners. The rental property that Brenda lived in had cold, cement floors, and the drafts in the winter aggravated her medical condition. Brenda’s biggest concern living in the rental, was her daughter being affected by the negative social environment, as there were alcohol and drugs in the area where they lived.